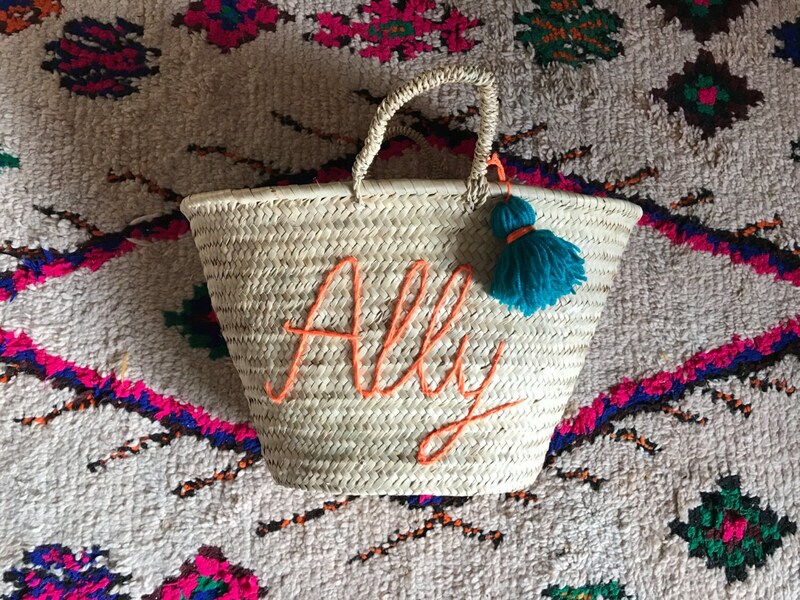 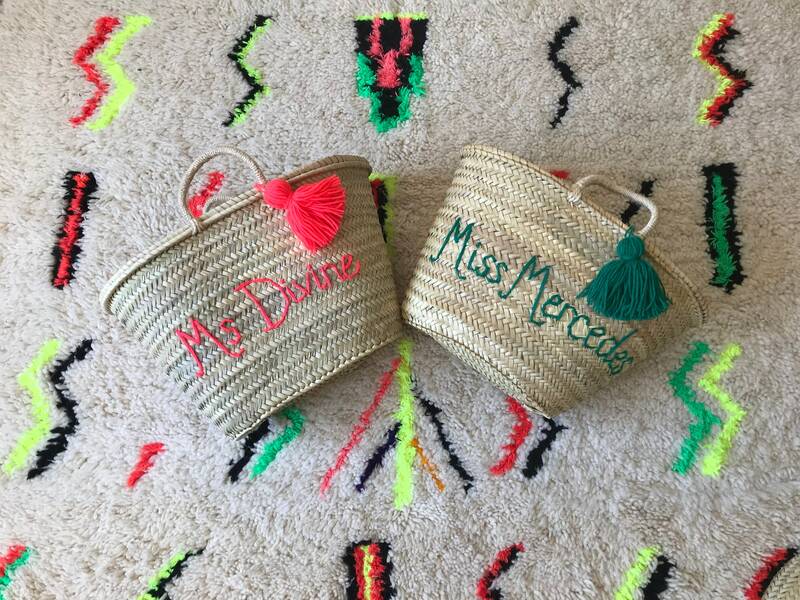 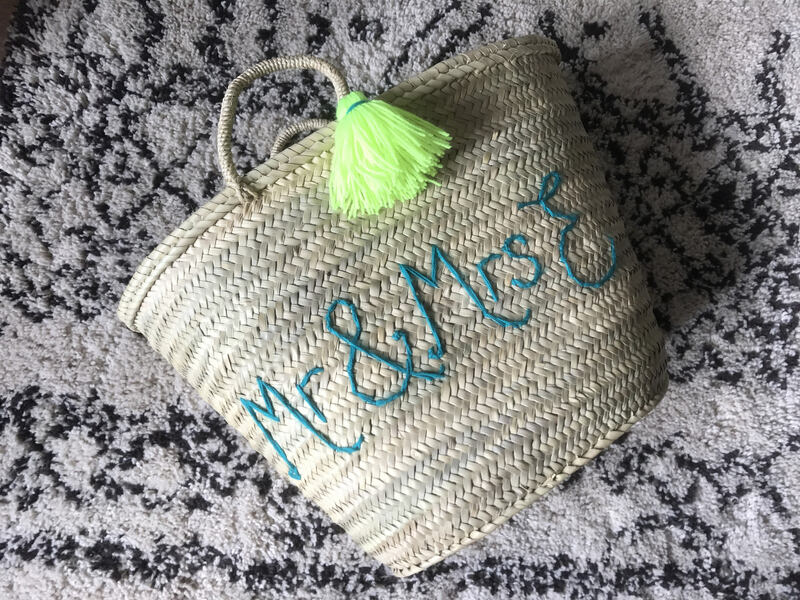 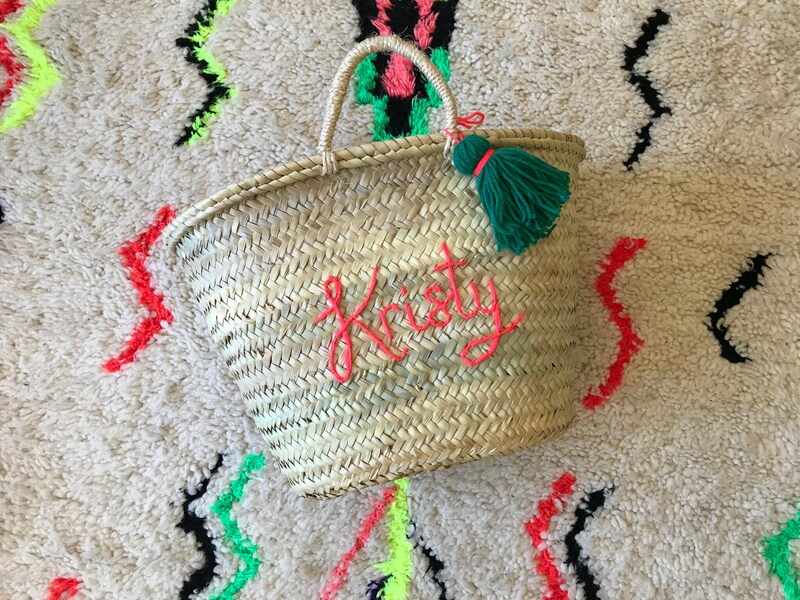 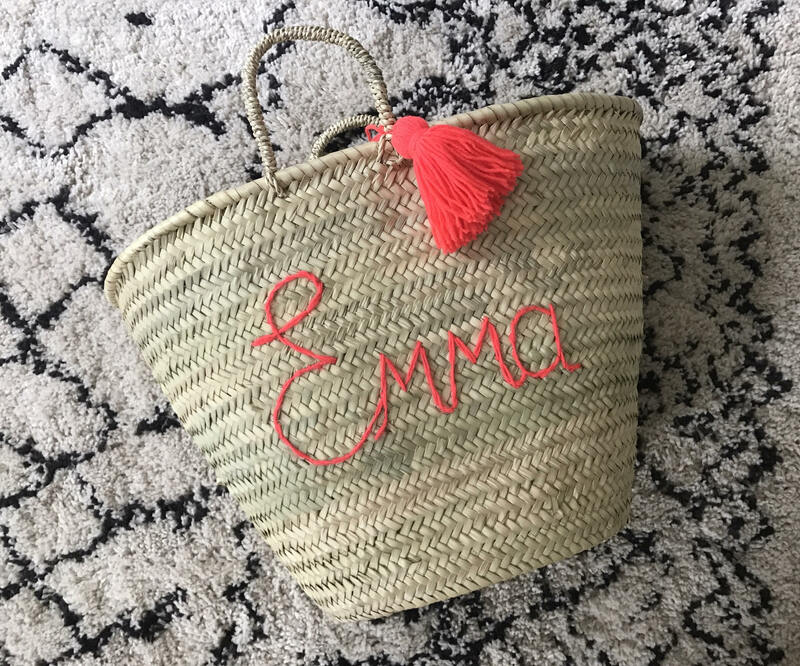 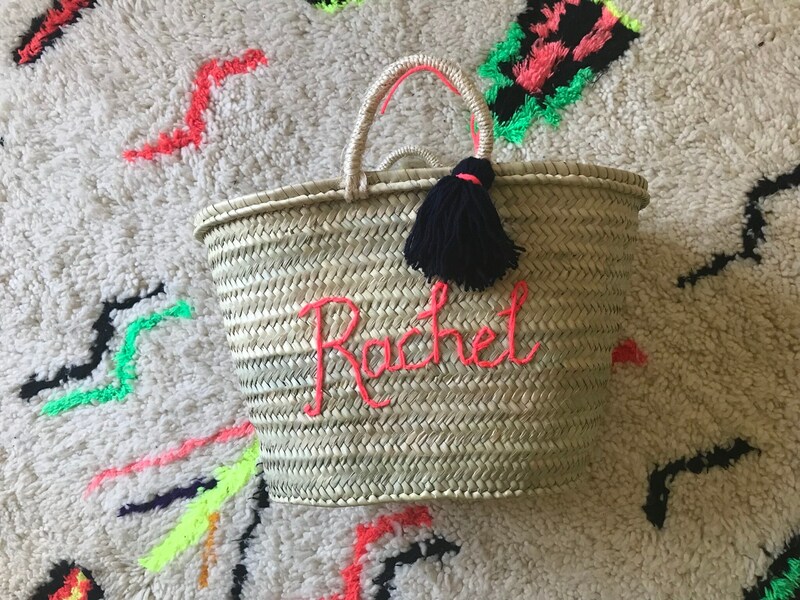 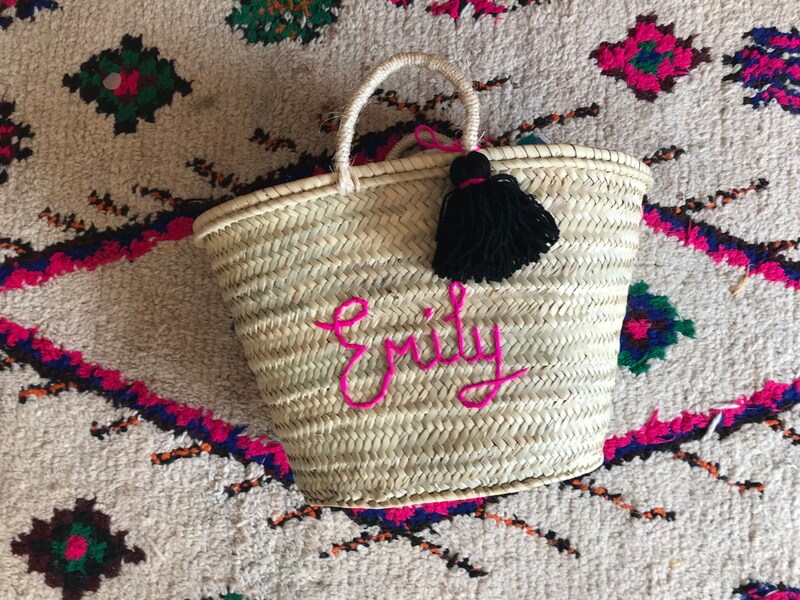 Beach market palm leaf basket from Morocco, hand embroidered and personalised with your name, initials or a word of your choice. 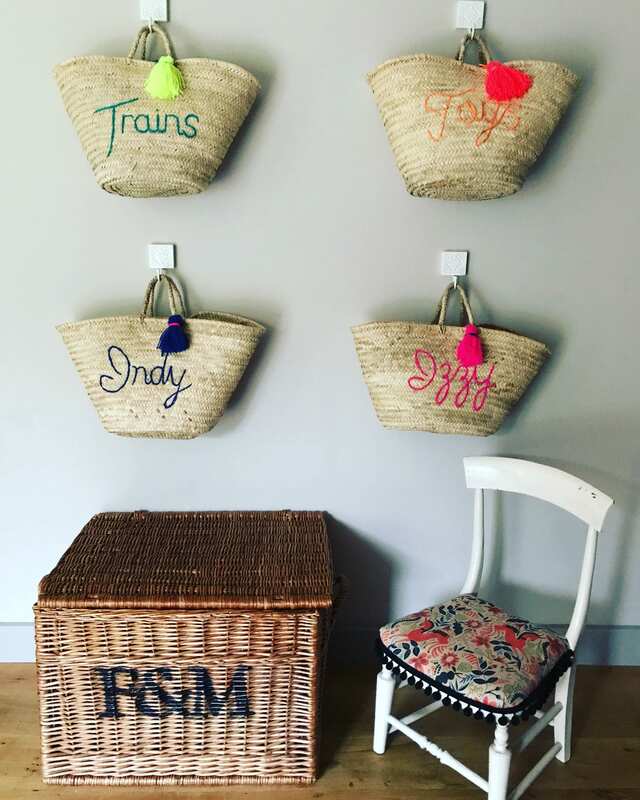 With short straw handles. 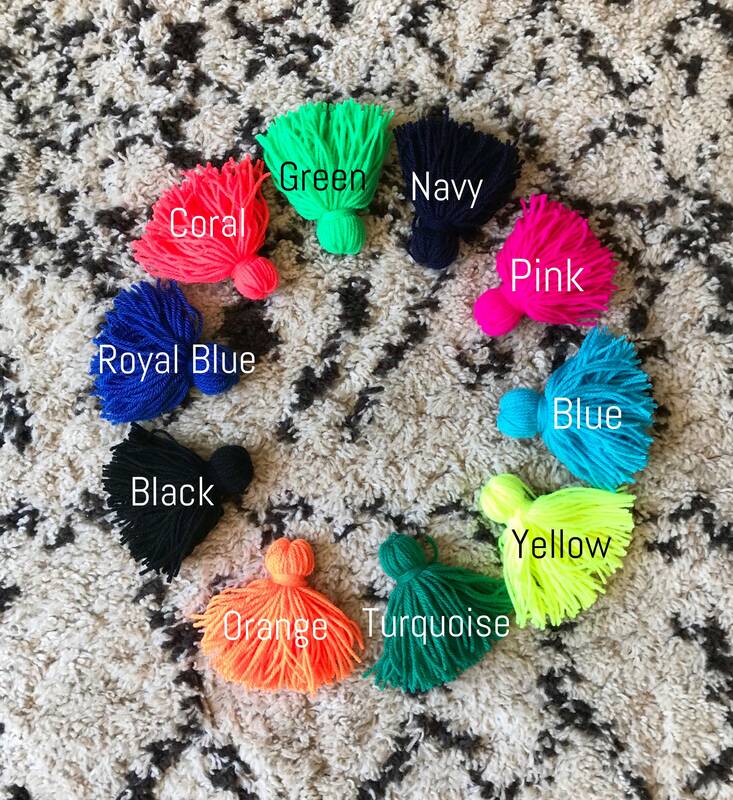 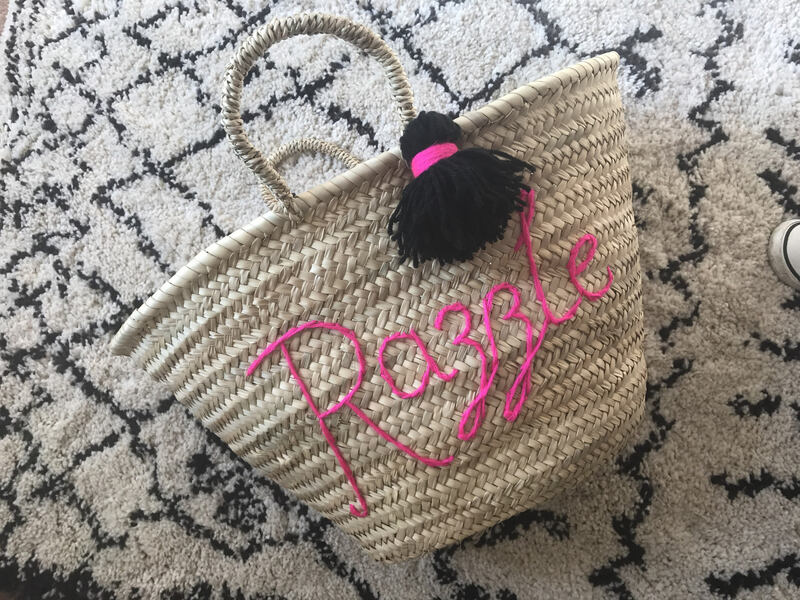 Pick a matching or contrasting tassel to finish off your basket.